The two vases on the left were fired using dog hair, and the two on the right were fired using horse hair. 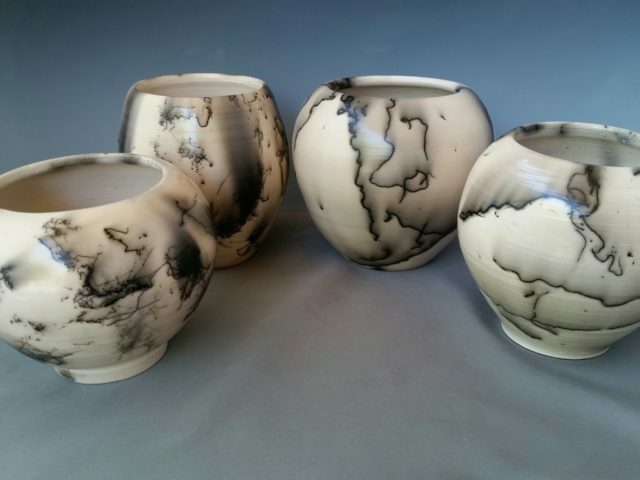 These are our 5 inch handcrafted, hand-thrown,made with white clay vessels. •The name you wish to honor is imprinted underneath. •Simply supply us with sample hair and we create the art.